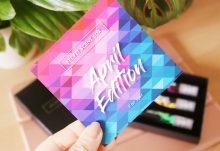 Today, a very exciting parcel arrived as it was the launch box from Treatkind which is a vegan subscription box! 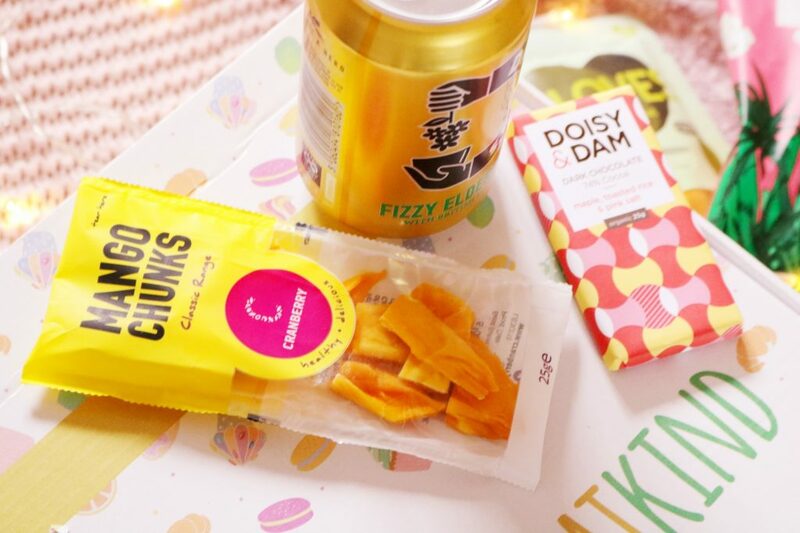 They specialise in vegan and gluten free snacks, treats and drinks so you’ll receive a great variety in your box. 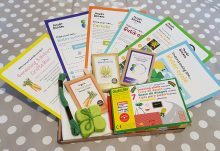 Their first box contains seven items and most of them are full sized which is fantastic! The first item is a carbonated soft drink that contains British elderflower, apple juice and spring water. 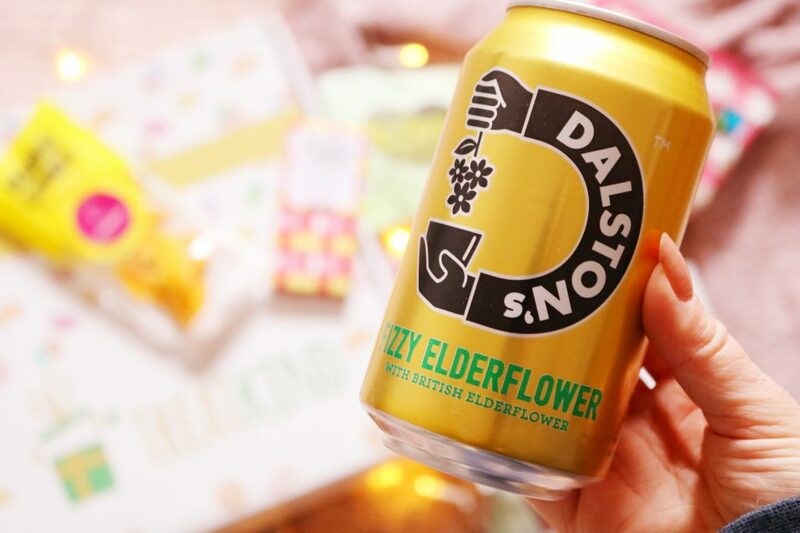 I love the design and I love anything that is elderflower flavoured so I was very happy to see this item in the first box. The drink has such a nice flavour as it’s refreshing, floral and sweet but not overly sweet. I love dried fruit and fruit leather snacks, especially mango and pineapple so this box has managed to get off to an amazing start! The only ingredients include: mango and a preservative. It’s a great on the go snack and it is low in calories too – I’m always on the hunt for healthy, delicious and low calorie snacks. 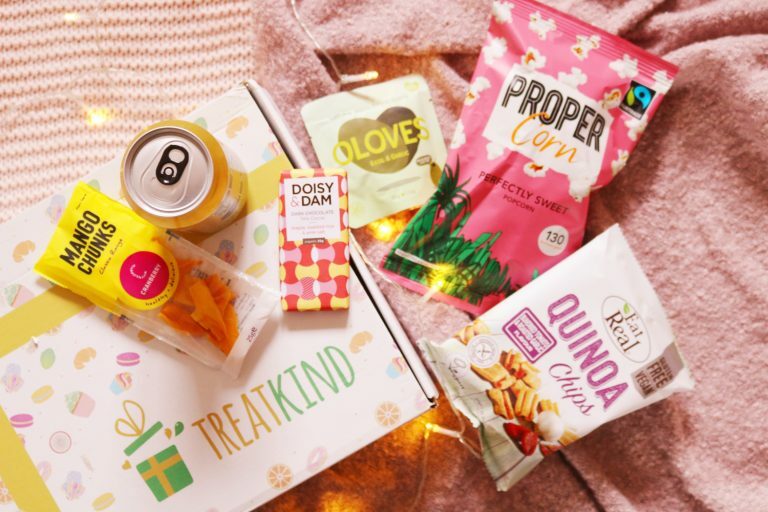 There are a couple of savoury snacks within the launch box and while sadly, one of them isn’t really something I’d eat, the other is! I love chips and crisps of any kind and this ‘roasted garlic and sun-dried tomato’ flavour sounds amazing. My favourite item from the box, although it was a close call, has to be the Candy Kittens sweets. 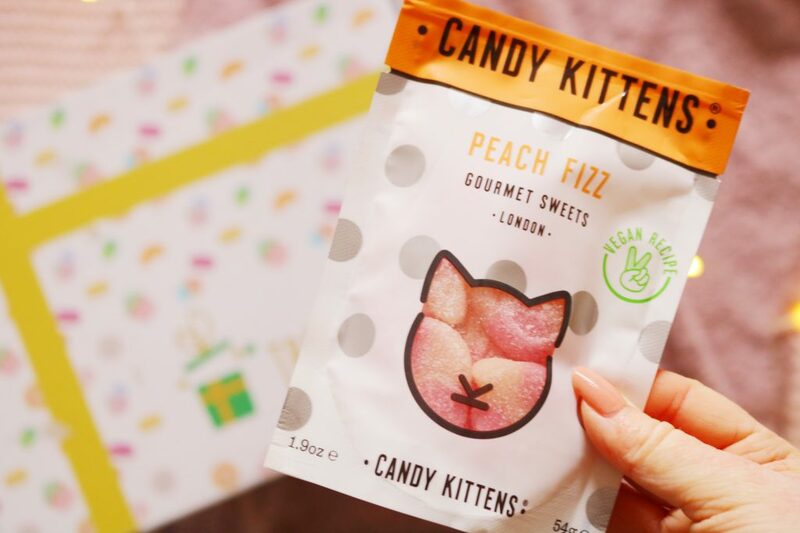 I had the Candy Kittens advent calendar for Christmas and loved it so I’m always happy to receive more vegan sweets. I like all of their flavours, especially the peach fizz and wild strawberry options. Unlike some vegan gummy sweets I’ve tried, they don’t have an unusual waxy or hard texture thankfully. Another favourite snack of mine that happens to be low calorie is popcorn. I could eat popcorn everyday, especially sweet popcorn. This box seems like it was made for me so far! 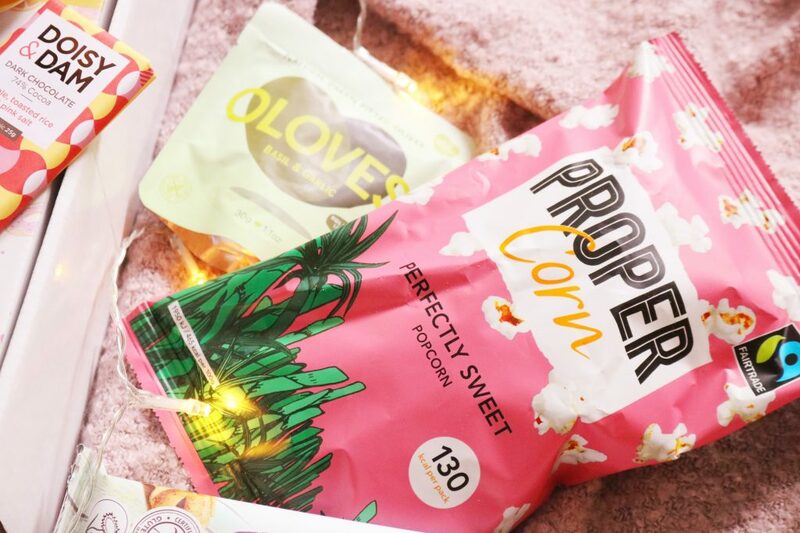 Proper Corn is one of my favourite popcorn brands so again, it’s another ideal addition. I’m heading to London next week for a couple of days and I needed a few snacks so the timing of this box is perfect. Sadly, there’s one item in the box that I’m not over the moon about and that’s the packet of olives. I have personally never liked them but that’s just my personal taste and I’m sure lots of people would love to see a savoury snack within this launch box. Overall, I absolutely loved this first box from Treatkind! It's presented nicely, packaged well and there's a fantastic selection of items in the box. 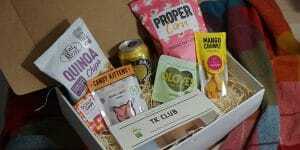 My favourites have to include the mango chunks, chocolate bar (drools) and elderflower drink; however, I like all but one of the items in the box. 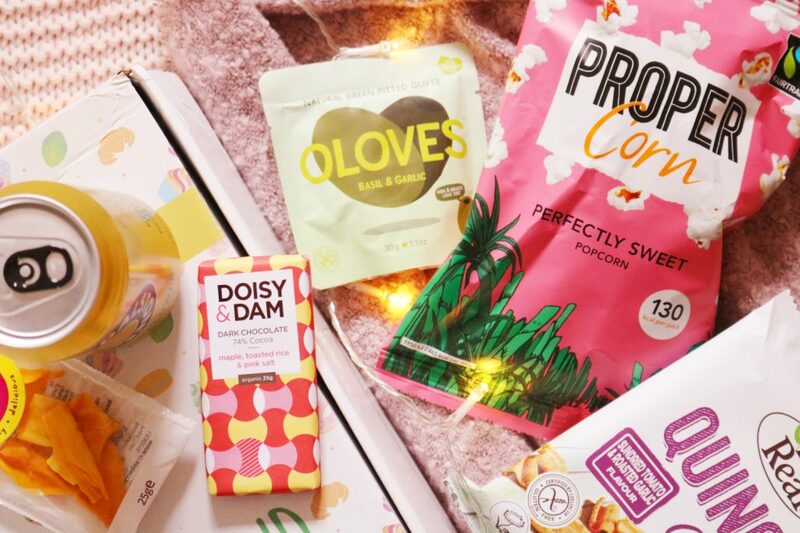 If you're looking for a great vegan snack box, then look no further than TreatKind!